Hannah Hamalainen is the Assistant Professor, Geospatial and Earth Sciences Librarian at the University of New Hampshire. Her areas of expertise include science communication and information and data literacy, with research looking at communities doing crisis mapping in response to disasters -- particularly in libraries. 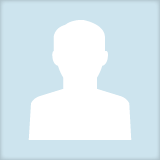 Hannah Hamalainen updated their profile information.